Another of the amazing Gold Coast Mansions of Long Island, NY. This one is located on the grounds of Old Westbury Gardens in Nassau County. I visited this location with the bride and groom and their wedding party of bridesmaids and groomsmen after the wedding ceremony on their big day. Old Westbury Gardens offers incredible photo opportunities other than just this stately mansion. There are dozens of acres of sprawling lawns, perfectly manicured gardens, reflecting pools, wrought iron gazebos and even it’s own lake. If you’ve been looking around this web site you’ll note that I love working at all of the fabulous mansions of Long Island. Some, like this one and Coe Hall at Planting Fields Arboretum, Fortunoff Hall at Dowling College, Mill Neck Manor and the Mansion at CW Post College are great venues for amazing wedding pictures. 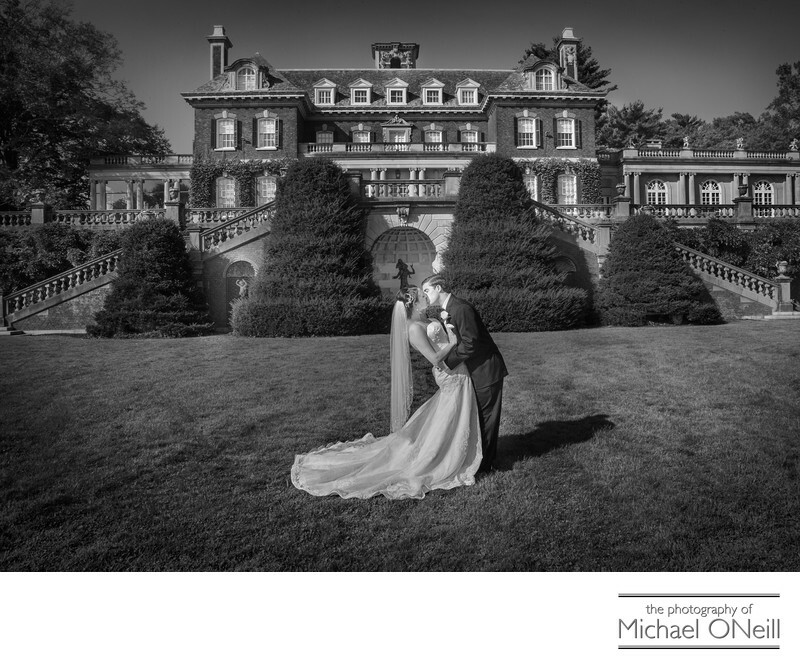 Others like The Glen Cove Mansion, The Bourne Mansion, The Royalton Mansion, The deSeversky Mansion and, of course, the world famous Oheka Castle, not only offer great spots for wedding photography, but top shelf catering as well. In my long career as a Long Island and NYC wedding photographer I have had the experience of working at every single one of these amazing venues on many different occasions. Give me a call at my studio and gallery if you are planning a Long Island Mansion wedding. I’d love to be a part of your big day.